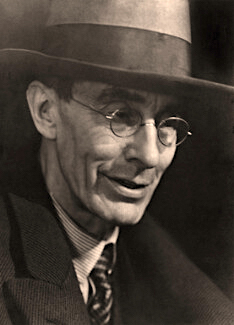 IN ITS MAY 1911 issue, The Fortnightly Review published an article with a seemingly simple title: “Post-Impressionism.”1 Written by Roger Fry, the text made obvious reference to the author’s own recent exhibition at the Grafton Galleries in London. Widely reviewed and discussed, “Manet and the Post-Impressionists” brought in 25,000 visitors during its run from November 1910 to January 1911. Judging by the critical reaction, however, the selection of works by Paul Cézanne, Vincent van Gogh, Paul Gauguin, Henri Matisse, and others emerged more notorious than popular. Fry wrote in a letter to his father that he had endured “a wild hurricane of newspaper abuse.”2 Of course, the Grafton show now marks a watershed in the British reception and understanding of modern art. The recognition of this fact might not have been widely apparent at the time, but the exhibit soon had the air of legend. When Virginia Woolf later declared, famously, that “in or about December 1910, human character changed,” she was surely looking back at the quake that had been Fry’s Post-Impressionism.3 The only surprise, then, for a reader of The Fortnightly Review in 1911 would have come from finding yet another article on the show—another aftershock—so soon after the initial tremors had subsided. Fry’s “Post-Impressionism” is not merely a sermon on formalist doctrine. It is an important modification and clarification of it. His defence of his chosen works in the 1911 lecture would thus seem to turn on those defined formal elements, but “Post-Impressionism” is not merely a sermon on formalist doctrine. It is an important modification and clarification of it. First of all, Fry seeks to simplify, for reasons that are not immediately clear, which elements count for the analysis and evaluation of works of art. He seems to reiterate his earlier claim when he says that “arrangements of form and colour are calculated to stir the imagination most deeply through the stimulus given to the sense of sight.” Yet light, mass, space, shade and light have here been reduced to “form.” Granted, the purpose of artistic form and colour—the ambition of all art, he argues—remains expression, be it the “expression of a particular idea” or the “expressiveness of the figure.” And his use of the word “expression” in the context of “Post-Impressionism” is hardly surprising, not least given what we now know about the origins of the exhibition’s name. (Apparently, Fry had wanted to call the artists “expressionists,” but offered the bland term “Post-Impressionists” in exasperation at his co-organizer’s criticism. )8 In ways sophisticated readers would have grasped immediately, the expressive qualities of art are then explicitly analogized to music—Fry speaks of the “music of line and colour,” and rhythm is especially significant. “Particular rhythms of line and particular harmonies of colour have their spiritual correspondences,” he asserts, “and tend to arouse now one set of feelings, now another. The artist plays upon us by the rhythm of line, by colour, by abstract form, and by the quality of the matter he employs.” No clearer definition of formalism could be found in the months immediately preceding the pan-European emergence of abstraction as an artistic end in itself. OF COURSE, IT would be the worst kind of teleology to say Fry anticipated František Kupka, Robert Delaunay, or Wassily Kandinsky. What he articulates, instead, is a widespread belief that to favour the “fact of appearance” is to break the “laws of artistic expression.” Nowhere is this more persuasively phrased than in Fry’s fascinating discussion of the representation of pictorial space. “The intrusion of light and shade into the picture,” he writes, “has always presented serious difficulties to the artist; it has been the enemy of two great organs of artistic expression—linear design and colour. […] Now if it should turn out that the most vivid and direct appeal that the artist can make to the imagination is through linear design and frank oppositions of colour, the artist may purchase the illusion of third dimensional space at too great a cost.” Far from constituting “the emotional elements of design,” mass, space, light and shade now actively undercut the expressive possibilities of line and colour. Consequently “decorative unity” could be achieved only by tones “inhering in the picture surface” rather than pulled apart in depth. 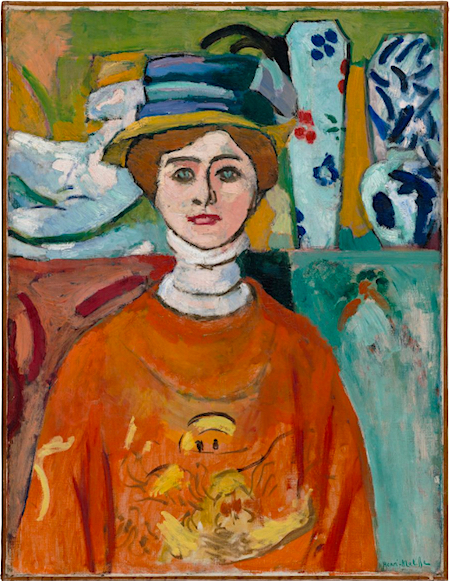 This splitting and opposition of formal elements seems to have emerged from a direct engagement with works of art in the Grafton Galleries—works like Matisse’s Femme aux yeux verts (1908, now in San Francisco Museum of Modern Art). Fry’s consequent insistence on expression and the isolation of certain formal elements such as line and colour provided the basis for the understanding of modern art for a very long time after. Formalism as such has acquired a bad reputation in art history—although it persists in many ways—largely for its exclusion of both artistic content and context. In the last fifty years, however, Fry’s star has fallen rather far. Formalism as such has acquired a bad reputation in art history—although it persists in many ways—largely for its exclusion of both artistic content and context. But Fry’s formalism presents another, more interesting, challenge. As many have argued, it was supposed to allow for the expression of an individual artist’s emotions and at the same time to mobilize form in a universally recognizable way.9 The problem has been played out to its paradoxical endpoint in Todd Cronan’s recent book, Against Affective Formalism: Matisse, Bergson, Modernism. In his definition of what he calls “affective formalism,” Cronan isolates the interpretative corner into which Fry and others painted themselves: “the experience of an artwork was a highly charged physical encounter that involved sensations passing directly into the body of the viewer through qualities inherent in line and color. In its most extreme form, affective formalism denies both representation and intentionality (although it does not require that denial). The artist and the medium dissolve into material flows of sensory and affective currents. Line and color are held to work of their own accord and beyond any material embodiment to generate affective states in the viewer.”10 If, in other words, lines and colours work the way Fry (and so many others) seem to believe, then what is expressed by the artist does not matter. In an important sense it cannot matter, because formalism’s insistence on “arrangements of form and colour” stirring the imagination simply do not require any acknowledgement or understanding of the corresponding expressive states of the artist. They work whether or not the artist intended them to. Or rather, they don’t. Not really. But if we think they do, any effects they have are rendered meaningless by their severing from an artist’s intentions. Fry’s formalism comes to life only upon the death of the artist. Christopher Reed has argued that the 1911 lecture “stands as the most comprehensive record of Fry’s aesthetics at that important moment in the founding of formalism.”11 As such, it has immense historical significance. It lays bare the theoretical coherence and dissonance of the formalist project. 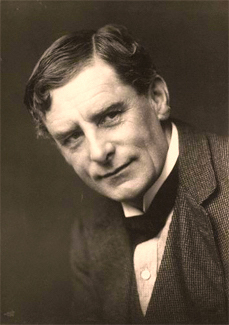 Few at the time could articulate the paradoxes and limits of the project, and Sickert is certainly not up to the job. If anything, the juxtaposition with Sickert makes Fry’s theoretical rigor all the more pronounced. For the painter, the so-called Post-Impressionists are united only by their wilful “deformation” and violations of “quality,” but nothing in his talk anticipates or refutes Fry’s underlying position—ultimately it serves as a kind of intellectual repoussoir dramatizing the depth of formalism. Whatever its limitations, Fry’s formalism owned the future. The difference between the two texts is about as good a demonstration as one could find of an intellectual watershed—or, to put it in Woolf’s terms, the change in human character that occurred in or about December 1910. Marnin Young is associate professor of Art History at Stern College for Women at Yeshiva University in New York City and the author of Realism in the Age of Impressionism: Painting and the Politics of Time (Yale, 2015). Publication: Sunday, 29 October 2017, at 17:56. Options: Archive for Marnin Young. Bookmark the permalink. Follow comments here with the RSS feed. Post a comment or leave a trackback.